Nearly half of teenagers in possession of a smartphone admit to sexting. That is transmitting sexually suggestive or graphic materials over their phone. You have to ask yourself: is that a risk that you want to take? Those who have smartphones will always have the temptation to send such materials over their phones. While having a conversation with your teenager about not doing this is a good idea, it isn't something that is guaranteed to be effective 100% of the time. You should consider the fact that smartphones can cost at least $70 per month on a plan. That is a huge amount of money. Why add this expense to your budget when it is simply not necessary at the moment? If your teenager wants to pay for it him or herself, then that is one thing, but if they are expecting you to cough up the money each month, you should probably turn that one down. It's up to each and every parent to decide whether or not it's the right time to get a child their first phone. There are many potential cons as well as pros to getting them started. 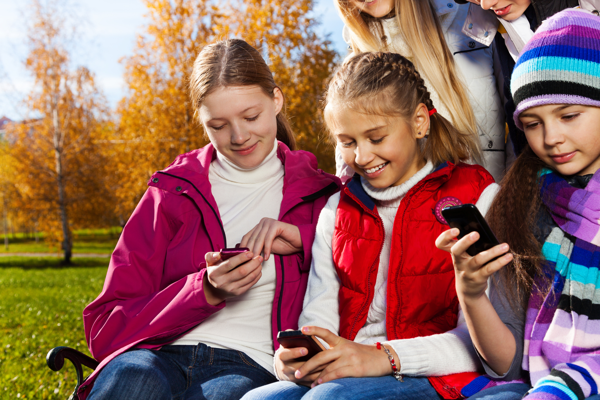 Ultimately, there is no perfect age for all kids to get their first phone. We recommend considering factors including the pros, cons, and the age and maturity level of your child before making the decision. Parents might consider doing a trial run by giving their child a "dumb" phone and/or a laptop for a few weeks to see how they fare in following mobile and Internet rules. Parents can also employ the use of a monitoring tool like uKnowKids to help them engage with kids about how to safely approach the digital world.